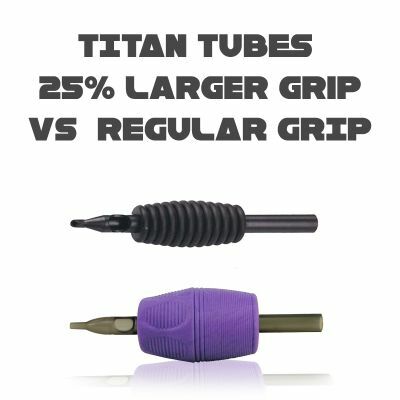 Introducing the new super sized 1.25" (32mm) Titan™ Tube disposable tattoo grips! They are must haves for artists who like bigger grips! 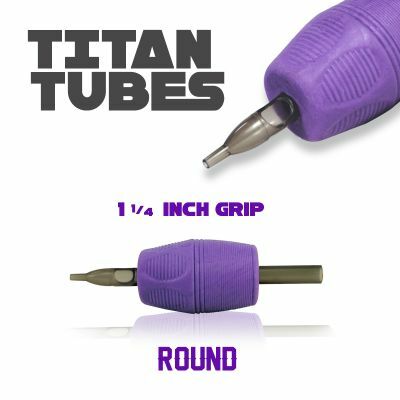 Made with High-quality Hard Silicon Rubber, Titan™ Tube offers a solid grip and a clear tip for easy observation of needle movement. Each grip is individually packaged in a sterile wrapper with clearly marked size, sterilization and expiration date. All our disposable grips are manufactured and EO Gas Sterilized by ISO 9001 certified facilities. Sold in box of 10 packs. 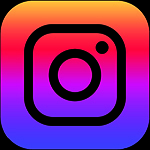 Titan™ is a trademark of United Tattoo Supply, Inc.